Columbus Ohio Eckl Parking Company Valet, Garage, & Lot Management. Since its inception, we are pleased to provide, what we consider, the ideal parking situation for our valued patrons. We pride ourselves in our ability to provide the highest levels of customer service and a safe and clean environment adding to the overall security, comfort, convenience, and pleasing experience of our customers. 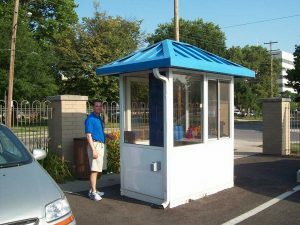 We have first hand knowledge, depth of experience in professional parking management, revenue enhancement programs, and marketing to provide the most generous levels of customer service required and deserved by its patrons. Eckl Parking has devised systems and processes that make it easy for our customers to do business with us. Because we actively participate in business, economic, and community organizations in all of our markets, we understand their history, growth potential, special economic needs, focus of the business community, and expectations of the many tenants, guests and visitors to the region. This close relationship to our communities, clients and customers allows us to anticipate, and take advantage of, changing trends and opportunities in the parking industry in order to serve our patrons in the best possible manner. With more than 39 years of progressive operations management experience in the parking industry we understand the full scope of quality and customer satisfaction.